Do you actually need a San Diego construction accident attorney to sue negligent parties for your injuries at a construction site? Call our offices at 619-236-9696. Get a free consultation today. Some people think that hiring a construction accident lawyer after your have been injured at or around a construction site in San Diego or elsewhere in California is a waste of your money. “Why bother?” people think. If you are one of those people, you may want to reconsider your stance. There is no denial that any construction site is a dangerous place for both construction workers and all people around it. But when construction sites involve negligence on the part of construction workers, supervisors, managers, or other parties, they become construction accidents waiting to happen. And the worst part is this: a construction accident does not necessarily have to involve negligence or recklessness on the part of construction workers and other parties to cause an accident. Working at scary heights, toxic chemicals, faulty electrical wiring and equipment, defective heavy machinery… You name it. But do you actually need a San Diego construction accident attorney to sue negligent parties for your injuries at a construction site? Can a lawyer really do something that you would not be able to do without his or her legal assistance? The answer is: definitely. Do you really need a lawyer after a construction site accident? 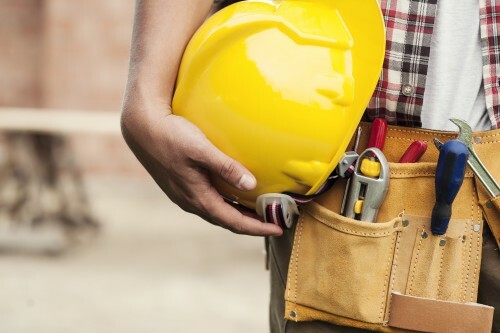 A construction site accident can cause broken bones, burn injuries, back and neck injuries, brain injury and concussion, muscle and ligament damage, and many more. Usually, it is a combination of these injuries. As you may have already guessed, it is only a matter of time before the costs of medical treatment associated with recovery after a construction accident climb higher than you expected. That is where an experienced construction accident lawyer in San Diego or elsewhere in Californian comes in handy. Whether you have been diagnosed with a temporary or permanent disability, a lawyer may be your only chance to seek reimbursement for the damages. Construction companies are usually represented by some of the best defense lawyers in California. In addition to that, you will have to be dealing with a construction company’s insurer when seeking compensation for your injuries and damages. And this is always tough considering that insurance companies are not interested in settling your claim fairly or protecting your rights. Two of the biggest reasons why you need a construction accident attorney in your case are: collecting evidence and negotiating. Collecting evidence. After a construction accident – or any accident, for that matter – negligent parties will do whatever it takes to escape liability, cover up their wrongdoing, deny your personal injury claim or shift the blame on you to significantly reduce the value of your claim. Nobody is going to admit to failure to comply with safety procedures, policies, and laws, which is why collection of evidence is the most important thing when it comes to proving fault on the part of negligent construction companies and/or their workers. Negotiation. Once your San Diego construction accident attorney has obtained sufficient evidence to establish liability in your case, he or she will negotiate with the negligent construction companies or other liable parties and insurance companies to help you get maximum compensation. Many victims of construction site accidents are unable to recover damages because there are tons of overlapping policies at construction sites that are not readily available to the public. In addition to that, there are quite a few laws regulating construction accidents in California. Knowing all of that takes years and decades of experience, which is why hiring an experienced lawyer is the number one step you should take to recover damages in your case. Here at Simpson Law Group, our lawyers are dedicated to protecting your rights and guiding your through your case. You can rest assured, your personal injury or workers’ compensation case will be in good hands when you call our offices at 619-236-9696. Get a free consultation today.